A week or two ago ThermalRight introduced the HR-02 Macho Rev.B and now the company delivers the True Spirit 140 BW Rev. 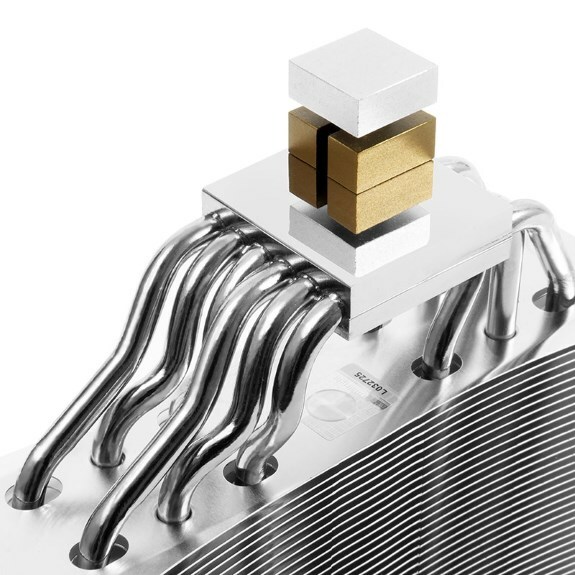 A CPU cooler. The updated model features a nickel-plated copper base, six nickel-plated copper heatpipes and a large aluminium fin array that's cooled by a rounded 140mm PWM fan that delivers up to 73.5CFM at a noise level of up to 21dBA. Changes versus its predecessor include latereally offset fins and size changes to ensure better compatibility with motherboards and cases. With the fan included, the new True Spirit 140 BW Rev.A measure 155mm x 80mm x 165mm (L x W x H) and weighs 770g. Pricing is expected to be similar with the current True Spirit 140, which means around $55. Soon after the launch of the Macho Zero and just after the updated Thermalright HR-02 Macho Rev. B has been released, we now present the True Spirit 140 BW Rev. A. Our latest single tower cooler is the optimized version if the True Spirit 140, which works as a more compact version in addition to the True Spirit 140 Power. True to their motto “innovated – not imitated” we again implement ideas from our fans worldwide. The True Spirit 140 BW Rev. 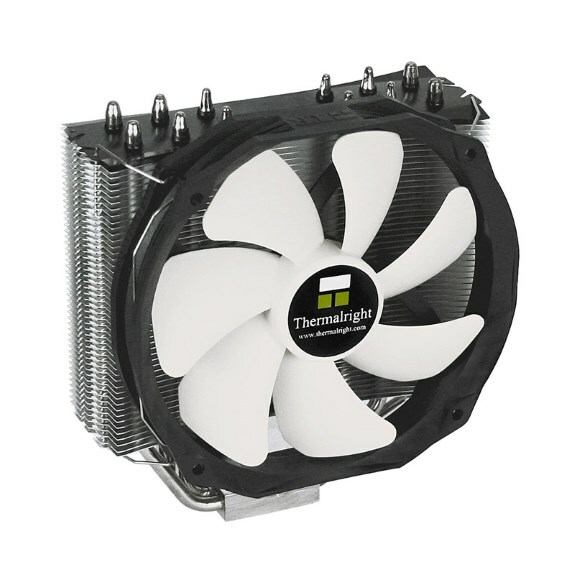 A offers maximum cooling capacity at an affordable price with very compact dimensions. For the best possible compatibility to motherboards and PC-cases, the aluminum fins of the True Spirit 140 BW Rev. A are laterally offset. This way, incompatibilities to top mounted fans or PSUs can be completely avoided. Additionally, the total height of the True Spirit 140 BW Rev. A is reduced by approximately 5 mm with the new design, which means that the cooler can now be installed in more compact midi towers, for which the predecessors were simply too high. In addition the top-most PCIe slot will not be blocked anymore. Like with its predecessors the width of the True Spirit 140 BW Rev. A is just 80 mm including the fan. Incompatibilities of the fan to the adjacent memory banks are avoided. In terms of optics, the True Spirit 140 BW Rev. A follows the design of the “Value” series: The copper heat pipes and the base of the heat sink are nickel plated and offer in combination with the black anodized top fin a highly refined look.